Style, Strength and Value! 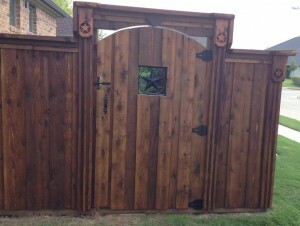 This is our most popular fence! 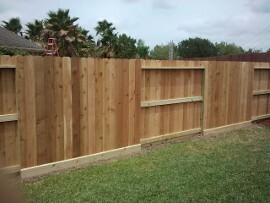 If you live in Houston, TX and plan to stay in your home for a long time and want a fence that that looks great and will last a long time, you’ll want to go with our Houston TX Standard Cedar Fence. 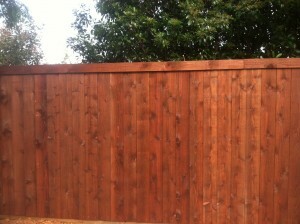 This is a 6 ft. cedar fence with wood or steel posts. 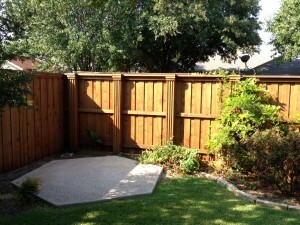 This fence is our best-seller and the best value for the cost. 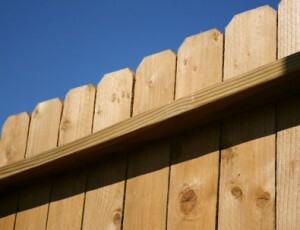 This fence can be easily upgraded with stain and trim for a more streamlined look to add curb appeal. We use 2×4 rough-cut cedar rails rather than the 2×3 smooth cut cedar rails that other companies use. Rough-cut cedar is a better grade of wood than smooth cut cedar, takes stain better, and gives your fence an overall better look. Most companies use smooth-cut cedar because it is more cost-effective. We use 2×4 rails instead of 2×3 because they are thicker, last longer and are more resistant to deterioration. 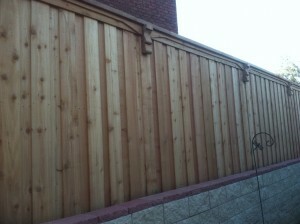 This is a 1x4x8 cedar trim that goes on top of the fence to give it a streamlined look. 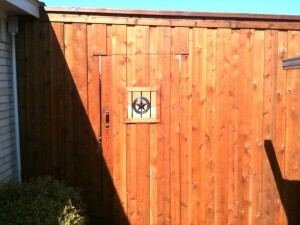 This is included with our standard cedar fence, but is optional. Dog-eared pickets without the top trim are also available. 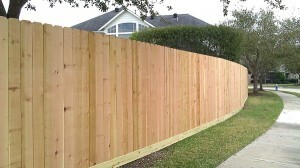 We use 4 x 4 Wood Posts for our Houston Standard Fence. The posts for a 6 ft fence are set 8 ft apart, and 3 ft (36″) into the ground using Maximizer concrete which is 45 % stronger than regular concrete. Heavy gauge galvanized steel posts are also available for a slightly higher cost. We recommend steel posts to increase the strength and extend the life of the fence. Lifetime fences are installed with the pickets raised and a 2×6 pressure-treated board on the bottom of the fence. This board can be easily removed and replaced, protecting your pickets from rotting, water damage, and weed-eater damage. This is our Standard Cedar Fence with Cedar Dog-Eared Pickets, Side-by Side Style, with a kickboard, unstained. 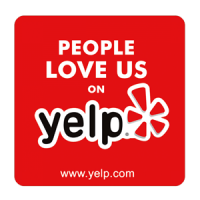 The price you are quoted for our Lifetime Standard Fence includes everything described above, with no additional charges for permits, site preparation, old fence removal, or any other charge. 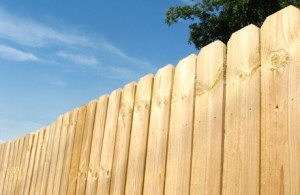 Top Cap: For a little extra per foot, a 2×6 cedar top cap can be added to give the fence a finished, streamlined look. Arched Trim: An alternative to the standard trim, this arched trim adds a unique look to the fence. Boxed Posts: Posts are boxed in with wood to hide the posts. 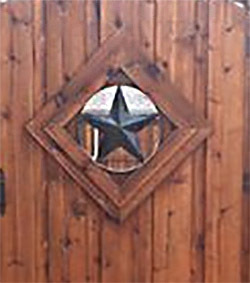 Custom Ornaments: Add a touch of personalization to your fence with a custom gate ornament! 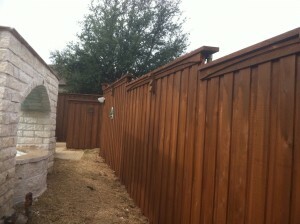 Request a Free Houston TX Wood Fence Estimate!